Reusing existing Open Educational Resources (OER) can save significant time and effort. The OPEN partners recommend TAACCCT grantees invest up-front time finding OER to reuse rather than starting development of new educational resources right away. A significant benefit of OER is that they provide source material to build your development efforts around. No need to invest development effort in creating something that already exists. 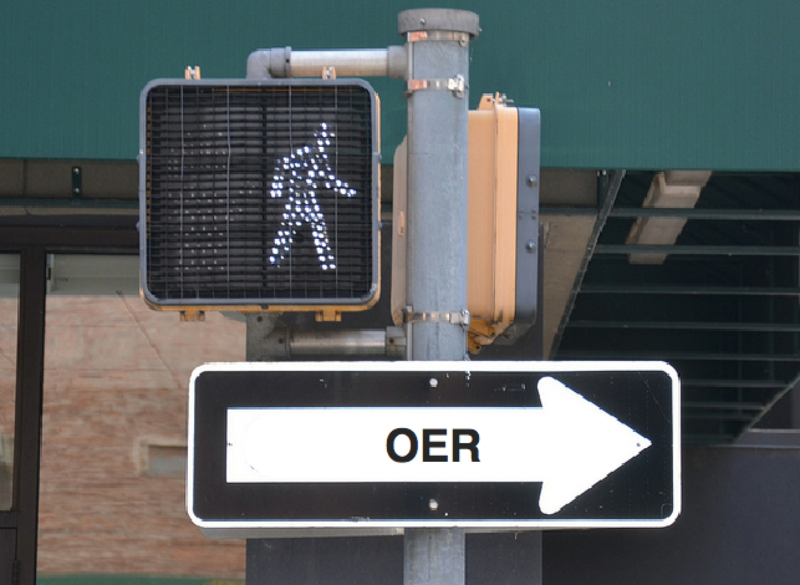 OER come in a wide variety of types. Many educators are simply looking for individual media elements to use within their courses, such as photos, graphics, videos, and audio, that are openly licensed in a way that freely permits education use. OER also exist as distinctly education content such as full courses, workshops, textbooks, tests and assessments. Before starting your search its worth thinking about what exactly you are looking for. What you find is very much dependent on your search terms and the search tools you use. It is unlikely that you will find OER that perfectly fit your needs. In looking at OER remember that most OER can used in whole or in part and/or modified and customized to fit your specific needs (except for resources with a “No-Derivatives” license). Open Educational Resources are distributed across the Internet. There is no one definitive source for finding them. As an aid to your search the OPEN team is providing a wide range of search engine and source links on this page. For TAACCCT grantees developing curricula for technology, engineering, science and services areas we’ve done some advance searching for you and developed an OER Matrix which provides links to OER specific to subjects in all these areas. Scroll down in advanced search and set “usage rights” parameters to be “Free to use, share, or modify”. Google search returns a vast array of openly licensed resources that may require extensive sifting to yield useful nuggets. The other search recommendations on this page are likely to yield more targeted results. The CC Search tool automatically filters your search to find Creative Commons licensed resources that you can share, use, and remix. Searching for photos or images? If you prefer to do your searches directly from these sources direct links to each of these image sources are provided below. If you choose to do your search directly from the image source sites be sure to set the parameters of your search to define openly licensed usage rights and review the usage rights associated with any image you find. Be sure to scroll down in advanced search and set “usage rights” parameters to be “Free to use, share, or modify”. Note, that Pixabay images are public domain images you can freely use for personal and commercial use without attribution to the original author. While Pixabay can be a good way to find public domain images your search will also return proprietary professional images Pixabay offers for sale. Note, that Open Clip Art Library images are public domain images you can freely use for personal and commercial use without attribution to the original author. To find images openly licensed click “advanced options” in the top, right-hand side screen. Change the “any license” to an open license – reuse, commercial and modification options available. The Noun Project is a platform empowering the community to build a global visual language of icons and symbols that everyone can understand. Symbols and icons on The Noun Project are licensed using Creative Commons. 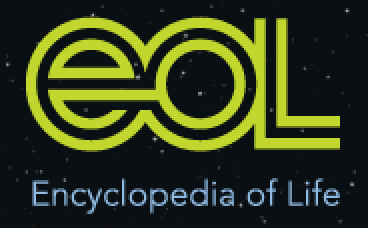 The Encyclopedia of Life is an online collaborative encyclopedia providing global access to knowledge about biological life on earth. Entries are composed as written content with one or more pictures usually in the form of colour photographs. Content is provided by a wide variety of contributors but is reviewed for accuracy. All content on EOL is licensed under Creative Commons (CC) licenses, but each contributor defines what level of CC licensing is applicable to their content. Specific licensing information can be found adjacent to media or by clicking on desired media. If no reuse information is included then it is understood that there are no reuse restrictions other than providing credit when reusing the image. PLOS is a non-profit publisher and advocacy organization focused on science and medicine. Every article they publish is open access. All written content and images are licensed using a Creative Commons Attribution license. Searching through PLOS journals and collections can yield many highly useful images including figures, tables, and graphs. 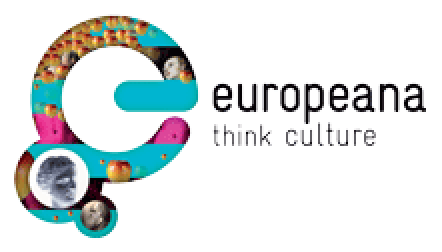 Europeana provides access to the digital resources of Europe’s museums, libraries, archives and audio-visual collections including paintings, drawings, maps, photos and pictures of museum objects. Not all the works are openly licensed so be sure to check for usage rights. The best way to find a video that is licensed under the Creative Commons license on YouTube is to use the CC Search tool described above in the General Search and Photo/Image Search sections. Unfortunately YouTube does not provide a filter or advanced search capability on their home page for finding all YouTube Creative Commons licensed videos. However, http://www.youtube.com/creativecommons lets you see the most viewed and most reused Creative Commons licensed videos. In addition if you are the YouTube home page http://youtube.com and type in your search term followed by a comma and then “creativecommons” the videos returned are CC licensed. You can mark your videos with a Creative Commons license when uploading them to YouTube. You can also incorporate the millions of Creative Commons-licensed videos on YouTube when creating your own videos using the YouTube Video Editor. Within the YouTube Video Editor you can click on the CC tab to find content available under a Creative Commons license. Vimeo lets you easily post and find Creative Commons licensed videos. The Internet Archive has a great collection of old video and movie footage. Looking for old cartoons, sports videos, ephemeral films, news footage? 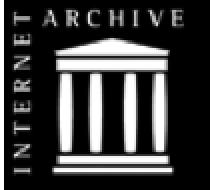 Check out the Internet Archive. TED is a nonprofit devoted to Ideas Worth Spreading. It started out (in 1984) as a conference bringing together people from three worlds: Technology, Entertainment, Design. Since then its scope has become ever broader. On TED.com, the best talks and performances from TED and partners are made available to the world, for free. More than 900 TEDTalks are now available, with more added each week. All of the talks are subtitled in English, and many are subtitled in various languages. These videos are released under a Creative Commons BY-NC-ND license, so they can be freely shared and reposted. The Al Jazeera Creative Common Repository hosts select broadcast quality footage that Al Jazeera has released under various Creative Commons licenses. Select Al Jazeera video footage is available for free to be downloaded, shared, remixed, subtitled and eventually rebroadcasted by users and TV stations across the world with acknowledgement to Al Jazeera. This is the first time that video footage produced by a news broadcaster is released under the ‘Creative Commons 3.0 Attribution’ license which allows for commercial and non-commercial use. Jamendo offers more than 350,000 free music tracks licensed under Creative Commons, all available for streaming and unlimited download without ads. It allows the public to discover thousands of artists of all genres who have chosen to distribute their music independently outside the traditional system of collecting societies. Jamendo artists can choose to join the Jamendo PRO service that allows them to sell commercial licenses of their music for professional uses, such as music synchronization for audio-visual productions or broadcasting in public spaces. You can search for music on Jamendo using the CC Search tool or directly on the Jamendo web site. ccMixter is a community music site featuring remixes licensed under Creative Commons where you can listen to, sample, mash-up, or interact with music in whatever way you want. Looking for music for a video, school project, game you’re developing, or podcast? Find music liberally licensed – using dig.ccMixter music discovery tool. In addition to video mentioned above the Internet Archive has a great collection of audio. Searching for animal sounds, old time radio shows, sound effects and even music. The Internet Archive may have what you’re looking for. SoundCloud is a social sound platform for people to create and share music and sounds. Recording and uploading sounds to SoundCloud lets people easily share them privately with their friends or publicly to blogs, sites and social networks. Many SoundCloud songs and sounds are licensed with Creative Commons. Use the url http://soundcloud.com/creativecommons to see SoundCloud sounds and songs licensed with Creative Commons. The search tools profiled above are for educators who are simply looking for individual media elements to use within their courses. However, an even higher value can be gained by finding Open Educational Resources (OER) that other educators have already vetted and assembled into education content such as full courses, workshops, textbooks, tests and assessments. This search section is focused on helping you find this kind of OER. 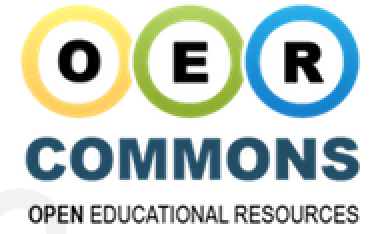 OER Commons has forged alliances with over 120 major content partners to provide a single point of access through which educators and learners can search across collections to access over 30,000 items, find and provide descriptive information about each resource, and retrieve the ones they need. These resources are publicly available for all to use principally through Creative Commons licensing. The Orange Grove digital repository provides an environment for educators to search for, use, remix, share, and contribute educational resources. A wide range of K-12 and post-secondary resources are available. The repository can also be integrated with a Learning Management Systems (e.g., Blackboard, Desire 2 Learn, Canvas) . Resources are free for educational use but may be protected through various copyright statements associated with each resource. Many institutions have recorded on-campus lectures and published them as OER licensed with Creative Commons. Short video tutorials on a particular subject are also available. Open Yale Courses (OYC) provide lectures and other materials from selected Yale College courses licensed using Creative Commons. The courses span the full range of liberal arts disciplines, including humanities, social sciences, and physical and biological sciences. Each course includes a full set of class lectures produced in high-quality video accompanied by such other course materials as syllabi, suggested readings, and problem sets. The lectures are available as downloadable videos, and an audio-only version is also offered. In addition, searchable transcripts of each lecture are provided. MIT has their own MIT YouTube channel where recorded lectures are uploaded. 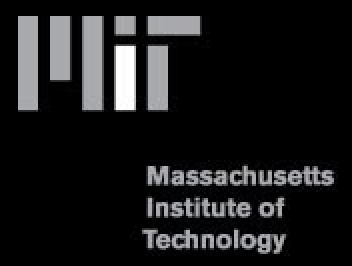 MIT is also well known for the MIT OpenCourseWare (OCW) initiative, a Creative Commons licensed web-based publication of virtually all MIT on campus course content online including lecture notes, exams, and videos. Courses with substantial video and/or audio components are listed here. UC Berkeley’s webcast.berkeley is a central service for online video and audio lectures. From the home page you can search for a particular course or simply choose to view all courses. Video and audio lectures are licensed as Creative Commons Attribution Non-Commercial No-Derivatives (CC-BY-NC-ND) and made available through YouTube and/or iTunes. The Khan Academy has a large library of videos covering math, biology, chemistry, physics and even the humanities, finance and history. Khan videos aren’t so much recorded lectures as short 10 minute long tutorials with an instructor narrating explanations and working things out on a board by hand on your computer screen. 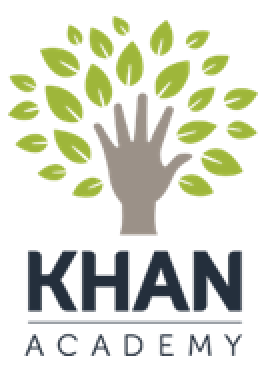 Check out Khan’s library of videos. The Community College Open Textbooks Collaborative, funded by The William and Flora Hewlett Foundation is focused on driving awareness and adoptions of open textbooks. This includes providing training for instructors adopting open resources, peer reviews of open textbooks, and mentoring online professional networks that support for authors opening their resources, and other services. 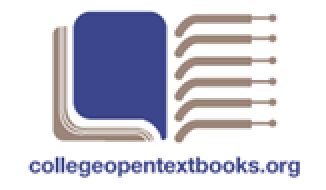 As part of their service they provide a listing of Open Textbooks by Subject. OpenStax College is a nonprofit organization committed to improving student access to quality learning materials. OpenStax free textbooks are developed and peer-reviewed by educators to ensure they are readable, accurate, and meet the scope and sequence requirements of courses. See the free, open, high quality textbooks they provide here. Siyavula supports and encourages communities of teachers to work together, openly share their teaching resources and benefit from the use of technology. Siyavula has created a series of open textbooks for math and science Grades 10-12. They have also developed an online practice service, modelled on exam questions, which allows learners to practise math and science questions they may find in their tests and exams. This practice service is well integrated with the Siyavula textbooks and these resources work together to ensure learners excel in Mathematics and Physical Sciences. Learners are able to practise using their mobile phones or computers. CK-12 offers free high-quality, standards-aligned, open content in the Science, Technology, Engineering and Math (STEM) subjects. By providing these free resources, CK-12 is working toward educational equity for all. CK-12 provides an integrated set of tools for learning including digital textbooks, concept-based learning, SAT prep, and interactive Algebra curriculum (with additional math and science subjects in progress). CK-12 resources are openly licensed using Creative Commons. Boundless is offering services that use OER to create a free replacement to a student’s assigned textbook that covers the same key concepts more efficiently. Boundless is currently focused on AP High School and Introductory level College courses in the following 8 subjects: American History, Anatomy and Physiology, Biology, Business, Economics, Psychology, Sociology, and Writing. They are planning to expand into more subjects. PhET provides fun, interactive, research-based simulations of physical phenomena for free. PhET simulations enable students to make connections between real-life phenomena and the underlying science, deepening their understanding and appreciation of the physical world. All PhET simulations are freely available from the PhET website and are easy to use and incorporate into the classroom. They are written in Java and Flash, and can be run using a standard web browser as long as Flash and Java are installed. The PhET Interactive Simulations are distributed under the Creative Commons-Attribution 3.0 license and the Creative Commons GNU General Public License. Here’s a list of PhET simulations. Connexions is a place to view and share educational material made of small knowledge chunks called modules that can be organized as courses, books, reports, etc. Anyone may view or contribute. Content is licensed with Creative Commons. Curriki is a leading K-12 global community for teachers, students, and parents to create, share, and find open learning resources that improve teacher effectiveness and student outcomes. 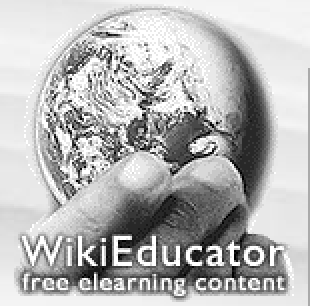 Curriki has OER for Arts, Career & Technical Education, Education, Educational Technology, Health, Information & Media Literacy, Language Arts, Mathematics, Science, Social Studies, World Languages all licensed using Creative Commons. The OERu initiative taking place in WikiEducator is a virtual collaboration of like-minded institutions committed to creating flexible pathways for OER learners to gain formal academic credit. Wikiversity is a Wikimedia Foundation project devoted to learning resources, learning projects, and research for use in all levels, types, and styles of education from pre-school to university, including professional training and informal learning. 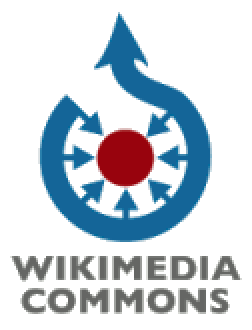 Wikiversity has thousands of learning resources licensed with Creative Commons. The Carnegie Mellon University Open Learning Initiative (OLI) is a grant-funded group at Carnegie Mellon University, offering innovative, Creative Commons licensed, online courses to anyone who wants to learn or teach. OLI’s courses are delivered on their unique platform which uses student data to generate targeted feedback. Courses range from French language to biology, statistics, programming and more. OLI is one of the OPEN partners providing a range of services to TAACCCT grantees. See http://open4us.org/services/ for a description of OLI services you can tap in to. The Open Course Library is a collection of expertly developed educational materials – including textbooks, syllabi, course activities, readings, and assessments – in 81 high-enrollment college courses. 42 courses have been completed so far, providing faculty with a high-quality, affordable option that will cost students no more than $30 for textbooks. All materials are shared under a Creative Commons (CC BY) license unless otherwise noted. Open Course Library is an initiative of the Washington State Board of Community and Technical Colleges and is an OPEN partner providing services to TAACCCT grantees. See http://open4us.org/services/ for a description of SBCTC services you can tap in to. MIT OpenCourseWare (OCW) is a web-based publication of virtually all MIT campus based course content. OCW is open and available to the world and is a permanent MIT activity. Courses are Creative Commons licensed. The UK Open University Learning Space has 600 free online courses available from introductory to postgraduate level. All courses are licensed with Creative Commons. Saylor.org is a free and open collection of college level courses developed by a team of experienced college professors to fulfill the same learning objectives as traditional college courses. Courses are licensed using Creative Commons. This is a partial listing of OER sources which we hope you find useful. We welcome additions or revisions to this listing. Send your feedback and suggestions to [email protected] Special thanks to Jennifer Freeman and Deborah Zulick of the Massachusetts Community College/Workforce Development Transformation Agenda for sharing their list of OER sources.